In November last year I visited Cambodia, a bewildering array of dusty streets, endless fields and historic monuments. Water occupies a special place in the heart of Cambodians and in the country’s culture. Although it has a relatively short coastline, much of the country is low-lying and perpetually half-flooded, containing a portion of the mighty Mekong River and a 16km2 ‘Great Lake’. It even boasts a three-day ‘Water Festival’ which competes with New Year as the most important and exuberant national holiday. Yet as I splashed around in the Gulf of Thailand and embarked on the obligatory snorkelling trip to nearby islands, I noticed a funny thing. The locals never left the beaches or the boats. Those that did only dared to do so when sporting ludicrously bulky life-jackets or clutching other flotation aids. 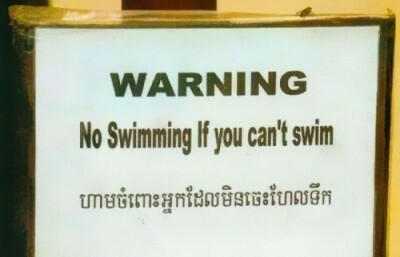 It turns out that many Cambodians cannot swim, a problem not unique across South-East Asia where a child drowns every 45 seconds and drowning is often the single largest cause of accidental death amongst children. 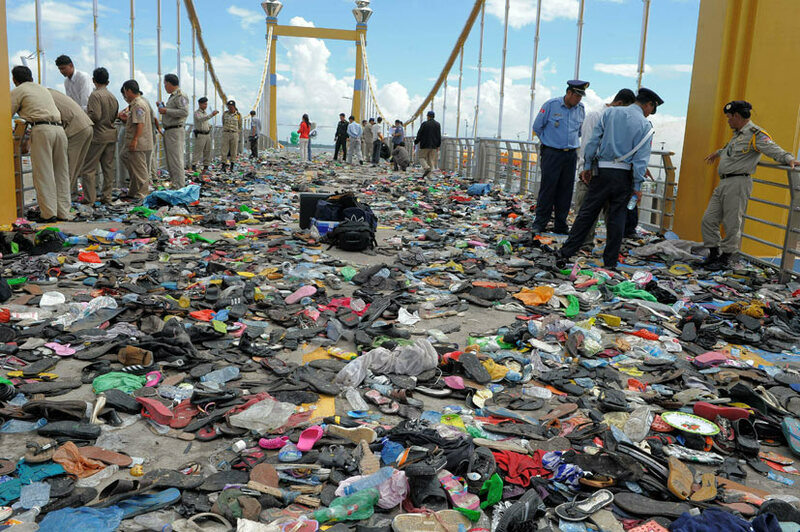 In 2010 the famous Cambodian Water Festival ended in tragedy as nearly 400 people died in Phnom Penh, many of them drowning after trying to escape from the crushed celebrations on a bridge over the Mekong. Looking at those sat nervously on the boat whilst I happily paddled around alongside brightly coloured fish in the warm sea, I pondered how lucky I was to have the often taken-for-granted skill of swimming, and how tragic it was that so many people in such a populous part of the world are completely unable to experience not only this fantastic sport but also many other activities that are made possible through it. But how far are we from having a similar situation in the UK? Closer than we might dare to think. 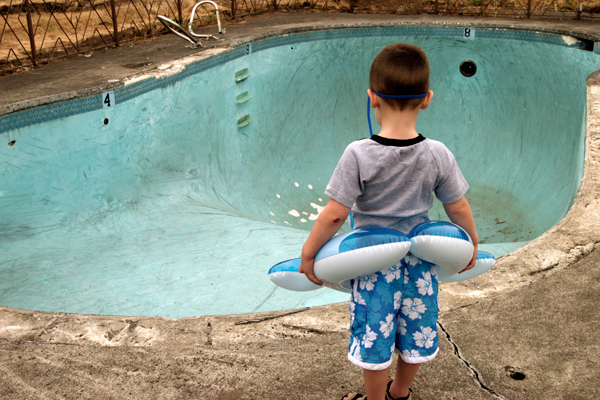 Drowning is the third most common cause of accidental death amongst children in England, with incidents increasing by a shocking 35% in 2012. With floods becoming a near annual occurrence of late, this is only likely to become more of a problem for both children and adults. 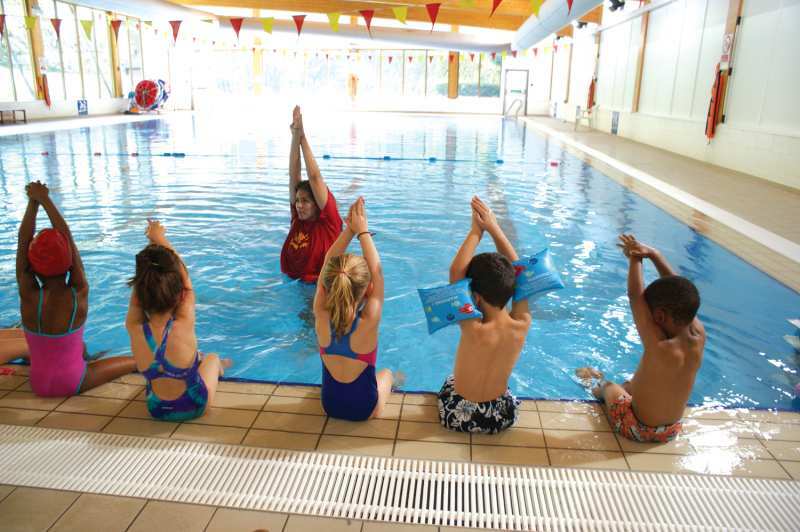 In the same year, a report by the Amateur Swimming Association (ASA) revealed that a third of children – 200,000 each year or 2 million over ten years – cannot swim by the time they leave primary school. The national curriculum recommends that state schools provide pupils with 22 hours of swimming per year in an effort to secure the minimum standard of an 11 year old being able to swim the length of an average pool (25m) unaided. Yet the ASA report disclosed that the average time spent in a pool is a measly eight hours per year and that 51% of pupils leaving primary school could not accomplish the 25m target. To most accomplished swimmers these figures are horrifying. After all, 25m is not a long distance, even for a child, and being able to swim this in the security of a swimming pool would rarely equate to safety in a dangerous and unforeseen scenario in open water. It is no wonder that 40% of parents don’t believe their child could swim to safety if in trouble. So why aren’t we investing more time, money and effort in teaching children the only sport that also doubles as a lifesaving skill? Having it within the national curriculum clearly isn’t enough as 60% of parents admit that their child isn’t receiving swimming lessons in school. Educational institutions are under all sorts of pressures, not least budgetary, and without it being properly enforced, swimming lessons simply slip down the priority scale. Neither Ofsted nor Local Authorities seem to keep track of participation and the Government is often too busy reinforcing traditional subjects to crack the whip. As such, more than a third of children – some 75,000 each year – leave primary school having never been offered the opportunity to learn to swim during school time. Being unable to rely on it in school adds pressure on parents and creates a natural imbalance towards those who can afford the time and money for private lessons, a luxury reserved for only a quarter of families, whilst at the other end of the scale a quarter say they can’t afford pool entry fees. With 20% of adults being unable to swim themselves, they are unlikely to be able to teach or encourage their children to do so, leading to the potential for an inter-generational deficiency amongst particular sectors of society. The problem can be made more acute by poverty but this is not the basis of the difficulty. Despite having similar deprivation statistics, 86% of pupils in Liverpool can swim 25m whilst only 26% of those in Middlesbrough can do the same. Other deprivation hot-spots like Stockport, Oldham and the London Borough of Islington boast impressively high figures of young swimmers, whilst similar London Boroughs like Merton and Redbridge, and the ‘new town’ of Milton Keynes languish at the bottom of the list. Nor is the issue necessarily one of access to facilities, despite this apparently being the main problem according to schools themselves. Whilst the average distance that anybody in England has to travel to a swimming pool is 3.6 miles, both the top and bottom five local authorities have up to a dozen pools within a few miles of their centres, albeit of varying quality. The key question is not just whether a swimming pool is within an accessible distance, but how much it costs to hire. Of course inevitably due to the laws of supply and demand, the more pool closures we see, the higher the cost of existing pools will become. This problem is not unique to schools but also to junior, senior and masters swimming clubs throughout the country. Very few schools and colleges have their own pool these days and most of those that do muddle along in outdated facilities. When I was selecting a University, I remember access to a pool being a prerequisite of my selection, but they were few and far between. And with cash-strapped Local Authorities often ill-equipped to manage such facilities, it often falls to luxury hotels and private health clubs to provide the community with – and hold clubs to hostage for – access to a decent body of contained chlorinated water. My own club, West London Penguins, has faced this issue recently, with Virgin Active trebling the cost of lane hire overnight without feasible justification. Nevertheless the problem isn’t merely one of funding but also of prioritisation and efficiency. Clubs and schools at all levels face a very real issue of balancing a sport which requires expensive facilities but is not considered a priority by those who hold the purse strings and make the decisions within educational institutions, councils or governments. Far too often those bodies tasked with resolving these problems show all the competence of a pair of leaky goggles. It is always easy to blame Government cuts for the problems, but plenty of private and public money has been poured into school sport over the years without any apparent impact on swimming provision. In addition to that already set aside, the £150m ring-fenced Olympic Legacy Fund has provided primary schools across the country with around £9k each for investment in sports whilst companies like Kelloggs invest £1.5m into community swimming projects and British Gas provide innovative temporary pools during school term time. Unfortunately any funds that are not specifically designated for swimming tend to go towards other sports. I am surprised that it isn’t pushed more in Parliament. There are a handful of swimming fans sat on the famous green benches, with Charlotte Leslie MP being a former competitive swimmer and others like Rt Hon Chris Bryant MP, John Cryer MP and Lord Paddick taking part in the annual Commons vs Lords swimming race and the popular Brighton Pier to Pier swim. Recently we’ve also seen Portsmouth MP Penny Mordaunt taking part in TV reality series ‘Splash!’ to raise money for her local community lido. Yet presumably none of them have established an All Party Parliamentary Group (APPG) – the committees which seek to discuss and lobby on particular areas of interest – dedicated to swimming. Meanwhile, there are APPGs for American Football, Opera and Folk Arts. Nor are the vital life-saving qualities of the sport given adequate priority by the powers-that-be. Transport accidents and asphyxia are the only two more common causes of accidental death amongst children in England, yet when compared to the campaigns we see for child road safety (Think! ; Brake; cycling proficiency; seatbelts and child seats in cars; bicycle helmets; road crossing improvements) or asphyxia prevention (plastic bags and pens with air-holes; toy safety regulations; advice on cot-death prevention), the focus on the issue of drowning is miniscule. 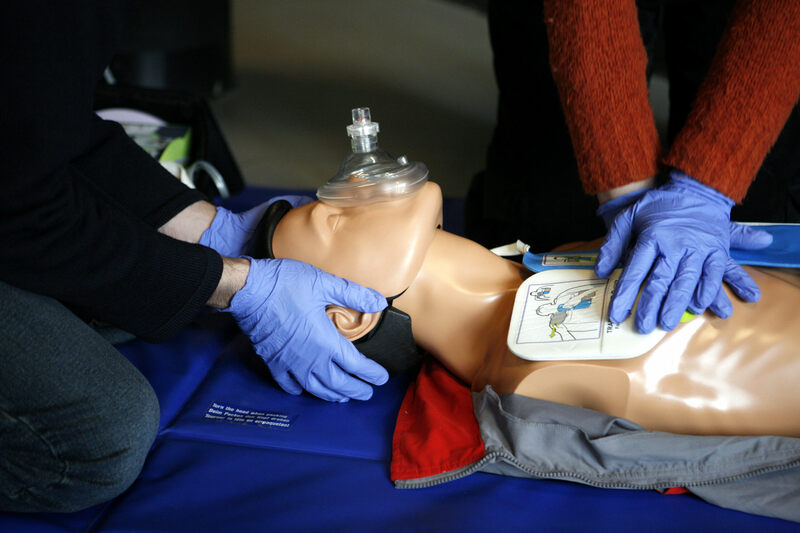 Without wanting to push an already stretched educational system too much, I would also argue the importance of basic first aid and cardiopulmonary resuscitation (CPR) techniques being taught in secondary schools. Like many swimmers, I spent a good portion of my early adult life working as a lifeguard, which requires regular training and certification through the Royal Life Saving Society (RLSS). I was lucky enough never have to put this into practice in a professional setting, but I’ve certainly witnessed potentially dangerous incidents in my personal life which I’ve been able to handle more calmly and effectively having had this background. Like a footballer taking a decisive penalty kick, when nerves can get the better of you there is no substitute for practice and technique. I did have a lifeguarding colleague who, walking down her local high street one day, saw a man collapse in front of her, seemingly having a heart attack. The training sessions we had done in this area allowed her to deal appropriately with the situation and even revive the man when he stopped breathing, helping to save his life. How many more lives could be saved if the same prioritisation was given to swimming, first aid and lifesaving skills as is currently given to trigonometry, analysing Shakespeare and memorising the order of the periodic table? The reality is that faced with very few carrots and a lot of sticks, schools face a multitude of reasons not to prioritise an activity which has numerous benefits for the individual and for society as a whole. Unless all institutions get their rubber ducks in a row, we’ll soon find ourselves splashing around in the water whilst increasing numbers sit nervously on the side-lines with their life-jackets within the UK, just like in South-East Asia.